If you had to list three things that defined Valentine’s Day across the world, they’d have to be roses, chocolates and teddy bears! No matter how old you are, there’s something about a cute little teddy bear to represent love. And if you’ve made the teddy bear yourself, then the gift becomes so much more meaningful. 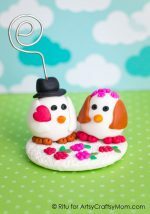 No, we aren’t talking about the fluffy kinds, we’re talking about making your very own Valentine’s Day Clay Teddy Bear! 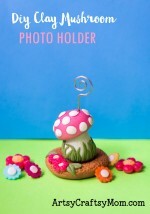 Here’s the step by step tutorial to make this cute gift. 1. Take about half of the clay and add a few drops of brown paint to it. Mix the paint evenly and make a flattened circle from it to form the teddy bear head. Make a thin sharp line down the middle as shown. 2. Make two identical small balls from the brown clay. Use a blunt instrument to make a dent in them as shown below. 3. Mix a drop of red paint into a small amount of clay to make pink. Divide them into two equal balls and flatten them in the same way as the ears. Stick these into the center of ears. Stick the ears on either side of the head. 4. Make a ball out of brown clay approximately the same size as the head. Smoothen it to form a cylinder with a flat bottom and top. Press it down slightly to make the base broader. Push a toothpick through the top of the body and insert the face on top of it. The toothpick is used to make the structure more stable. 5. To make the limbs, create four teardrops using brown clay and flatten one side as shown below. On the flattened side, stick a small white circle of clay. Repeat the same process for all four limbs. Stick two limbs at the base and two around the neck. 6. Take a bit of white clay and roll it into a ball. Flatten it into a circle and stick it on for the teddy bear’s mouth. Make small pink circles for the teddy bear’s palms and feet. 7. Finish up the teddy bear’s face with features! Add some black paint to create black clay. Make tiny eyes and a small nose and stick it on the teddy bear’s face in the right places. 8. To make the heart, create a teardrop and flatten it. Then make a small dent on the curved, broader side of the teardrop to give it a heart shape. Create two of these, and stick them to create a heart. Stick the heart between the hands. You can do anything with a teddy bear as cute as this! 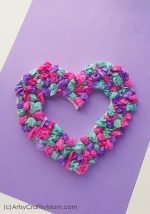 One option is to make the letters L-O-V-E out of colored clay and stick it to a photo frame along with the teddy bear for a customized Valentine’s Day gift! You can also push a pencil through the bottom to make a pencil holder. Or else, just let this cute Valentine’s Day clay teddy bear rest on your loved one’s desk, and every time they look at it, they’ll be reminded of you! Simple and creative one. Will be fun to make for children. My son is hyperactive and very creative. Making things with clay will excite him. He also pottery in his school, Harvest international school. 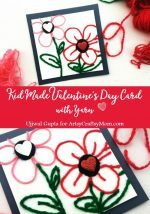 Crafty things in your blog will make a kid very focused and creative. Thank you.